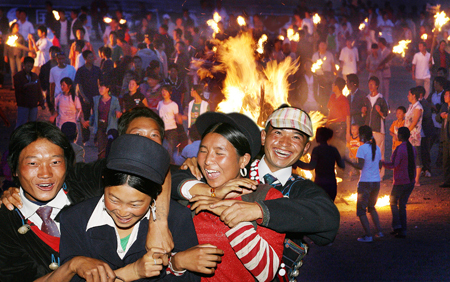 Torch Festival is the largest and most important traditional festival of the Yi ethnic group. 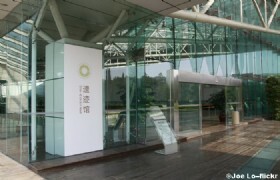 The Yi ethnic group is the fifth largest ethnic minority in China. 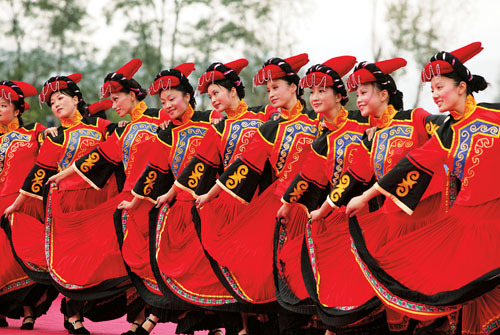 The Liangshan Prefecture in southwest China's Sichuan province has the largest number of Yi people in China. The Torch Festival falls on the 24th of the 6th month of the lunar calendar and the celebration of the festival lasts for three days. The origin of the Torch Festival comes from the worship of the god of fire by ancestors as they believed that fire had the power to dispel insects and protect crops. Now, the Torch Festival is held yearly for the purpose of driving away evils and praying for a good harvest and blessings. Torch Festival is featured by lighting up torches. During the festival, torches made from dried pine wood and lightwood are lit up by every family to illuminate the corners in the house and walk around the fields. 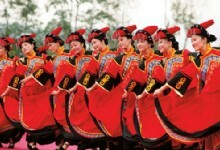 The Yi people will dress in their festive costumes and hold many activities to celebrate this grand festival. 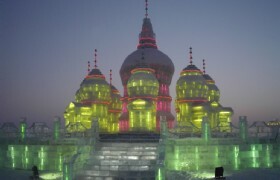 The festival is celebrated for three days. The first day is to worship the fire. At this day, every village will kill oxen and sheep, and prepare wine as offerings. When night falls, they will set up a sacrificial altar to offer sacrifices to the god of fire. At night, people will hold torches to walk around the fields and houses to repel insects and ghosts. 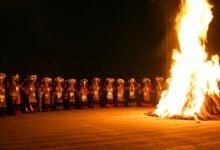 The second day of the festival is to pass on the fire. At this very day, the Yi people will get together and hold many activities including wrestling, bull fighting, horse racing, dancing and singing, and beauty contest. The beauty contest is one the the most important activities during the Torch Festival. At night, couples of young men and women will get together to express their affections to each other. 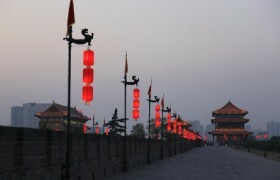 This is why the Liangshan Torch Festival is also known as the 'Oriental Valentine's Day'. 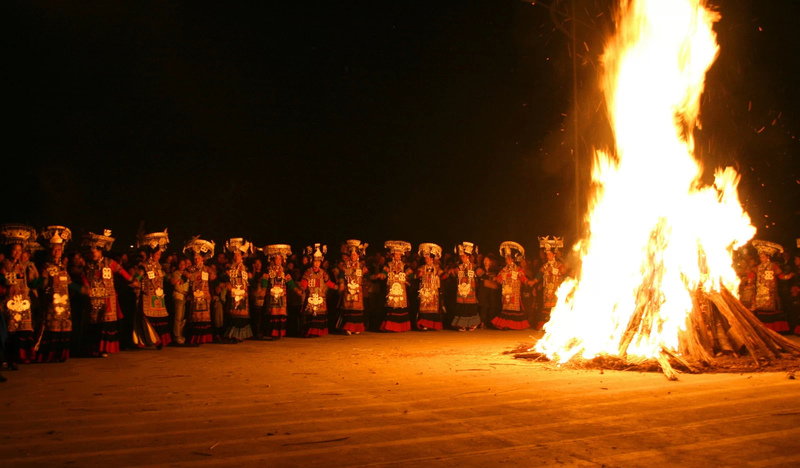 The third day of the festival is to send the fire away and it is the climax of the festival. 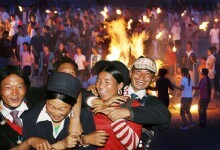 In the night, there are torch parades when people get together and hold grand torches to parade in the village and mountain. What's more interesting is the bonfire carnival at the night. People get together and use their torches to make piles of bonfire. They play music instruments, singing and dancing around the campfire for a whole night. The carnival is spectacular and this is why the Torch Festival is also known as the 'Oriental Carnival'. The Liangshan Torch Festival has a history of more than 1,000 years. 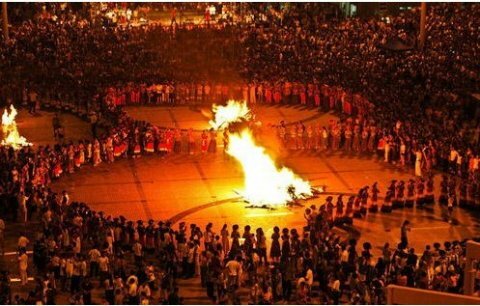 Now the yearly held Liangshan Torch Festival attracts numerous tourists all over the world to appreciate the rich cultural heritage and unique customs of the Yi ethnic group.